Our licensed and insured professional plumbers are friendly, punctual, and most importantly, highly trained technical experts in whatever your plumbing product or service needs might be. Starving Plumbers has one goal: To fix your plumbing problem as quickly, efficiently, and cost effectively as possible. "We used Starving Plumbers to relocate the gas line for our new stove and they did an excellent job, accommodated my schedule and charged a fair price. I would use them again." Your best interest comes first. Our profit margin comes last, which is probably why we're still called Starving Plumbers. And it's probably why the majority of our business comes from repeat or referral customers. 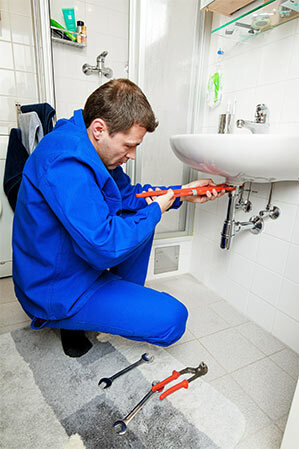 We provide virtually every residential and commercial plumbing service and repair. We even do larger, more comprehensive home improvement and remodel projects for residential and commercial customers. You'll feel better knowing our team has 40 years of experience working on commercial and residential plumbing projects.